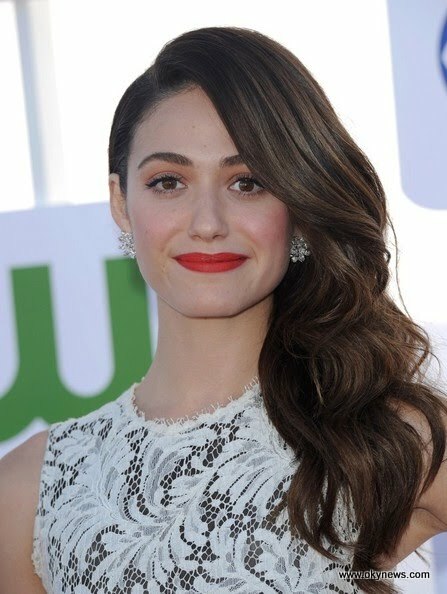 Emmy Rossum channeled Veronica Lake with dramatic sideswept waves. I'm here to show a knockout pair of earrings? This is the style for you!